One Missouri town’s levee saga captures what's wrong with America's approach to controlling rivers. 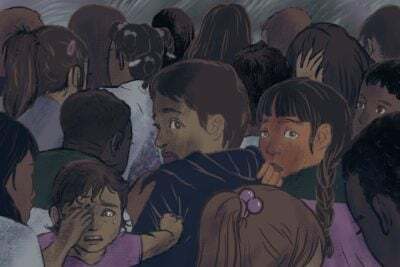 This story is part of an ongoing collaboration with Reveal from the Center for Investigative Reporting. Just after Christmas 2015, police showed up at the Starling Community Trailer Court in Arnold, Missouri, and told residents to get out. There was no time to stack sandbags, no time to pack. The big one was coming. The mobile home park backed onto a rising creek, where the oldest residents were closest to the threat. Sarah Quinn raced to help her grandmother and great-grandparents get to safety. They narrowly escaped the rushing Meramec River, which snakes around Arnold and other St. Louis suburbs on its way to meet the Mississippi. About 12 miles upstream, the Meramec climbed the steep banks of the city of Fenton and flowed across a road into the Riverside Golf Club, where Walt Wolfner was busy carting furniture and computers out of his clubhouse. He knew, because the course had flooded so often lately, that he and 20 workers would need two weeks to mop up the damage. Thirty miles farther up the Meramec, the river was creeping up on the town of Pacific, too. Devin Brundick and Felicia Ammann, a young couple who owned a small green bungalow beside the river, hurried to load their belongings into a friend’s truck. By the time the river crested, Wolfner’s clubhouse was under 11 feet of water, Brundick and Ammann’s bungalow was uninhabitable, and Quinn’s grandmother lost everything. They were the lucky ones. The flood killed at least 20 people in the Midwest and broke records along the Meramec. It was a once-in-a-generation flood — or so they thought, until it happened again 16 months later. Only one city escaped the destruction. 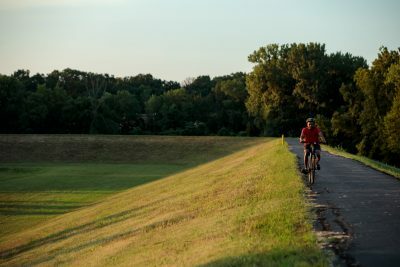 Valley Park, just upstream of Fenton, stayed dry during both floods, safe behind a ring of dirt and concrete — a $50 million levee designed by the U.S. Army Corps of Engineers. 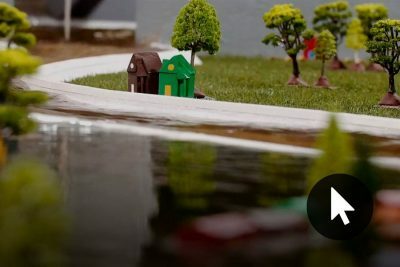 We ran water through a room-sized river model to show how levees can make flooding worse. Try it yourself. When rivers flood now in the United States, the first towns to get hit are the unprotected ones right by the river. The last to go, if they flood at all, are the privileged few behind strong levees. While levees mostly are associated with large, low-lying cities such as New Orleans, a majority of the nation’s Corps-managed levees protect much smaller communities, rural farm towns and suburbs such as Valley Park. But why Valley Park? It wasn’t the biggest city or largest employer along the Meramec. Its neighboring towns all had homes and industry in harm’s way, too. But after almost a century of planning to protect all these communities, the federal government built a single 3-mile levee, shielding the low-lying area of just one town. Exploring why that happened offers a window into the nation’s flawed approach to controlling rivers, in which — an investigation by ProPublica and Reveal from The Center for Investigative Reporting found — life-and-death decisions are dictated less by sound science than by economics, politics and luck. Levees have been the nation’s most common method of flood control for much of U.S. history, despite a major drawback: Levees protect the land immediately behind them, but can make flooding worse for people nearby by cutting off a river’s ability to spread over the floodplain — the flat, low-lying land beside the river channel. This is a basic matter of physics and something the Corps has known since at least 1852, when a report it commissioned demonstrated that as levees confine a river to a narrower channel, they force water to flow higher and faster. A levee such as the one at Valley Park, on just one side of the Meramec, creates a traffic-jam effect that forces water higher on the opposite bank and upstream. Twenty-five years ago, before it built the Valley Park levee, the Corps predicted that saving the city would cause just a few extra inches of flooding in areas close by. But it reached that conclusion based on outdated models, without factoring in wild cards such as additional development and climate change that often exacerbate flooding. After building the levee, the Corps never measured its actual impact. Residents in Arnold, Fenton and Pacific weren’t just frustrated that they suffered repeated floods while Valley Park stayed dry. They blamed the levee for making the flooding worse. Their accusations echo claims from residents near other levees: A 2011 flood along Pennsylvania’s Susquehanna River raised suspicions that a levee had pushed water into unprotected communities. In Louisiana, engineering consultants projected that a proposed levee extension would raise flooding by about an inch, but local reporters uncovered another study that predicted up to 8 inches — a finding that prompted a lawsuit. And a recent paper found levees have aggravated major floods on the Lower Mississippi River. People across the Meramec basin can only watch and wonder. 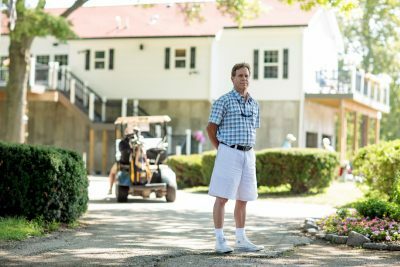 Sitting in his new clubhouse, which he’s rebuilt twice since 2016, Wolfner peers out at the river and stews about the unfairness of it all. Besides the levee, what does Valley Park have that Fenton doesn’t? The Corps “could have bought out everybody in that area for that kind of money and never built the levee and not hurt all these people, not hurt guys like me,” he said. The Army Corps of Engineers has a huge, complex job — reducing flood risk across the nation’s rivers and coasts and a requirement to do it in a way that benefits the country economically. To prioritize its resources, the Corps uses cost-benefit calculations. In practice, those formulas determine who gets flooded and who gets saved. 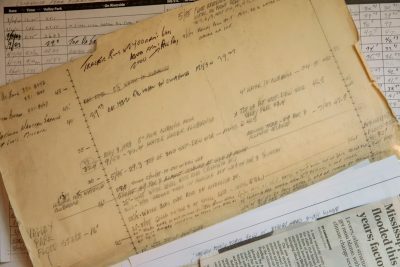 The Corps has used some version of these formulas along the Meramec since at least 1929, when it decided a reservoir held behind a dam was the best solution for controlling the wild, free-flowing river. Unlike a levee, which could push water into nearby towns, a reservoir would act as a valve, releasing water from the dam during droughts and storing extra water during floods. 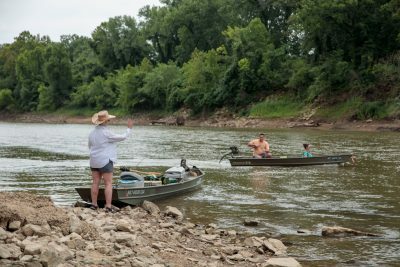 The plan might have eliminated flooding for everyone along 33 miles of the Lower Meramec, from the mouth of the river to the city of Eureka, 12 miles upstream of Valley Park. But for decades, the Corps’ math said the land that would be protected wasn’t valuable enough to justify the cost of building a dam. By the 1960s, the area’s population had grown large enough for the Corps to reconsider the reservoir. But by then, the plan had attracted opposition from special interests, including business owners around a nearby lake who didn’t want to compete for tourists and environmentalists who believed rivers ought to flow freely. Jimmy Carter campaigned for the presidency with a promise to block big, wasteful federal water projects. The Meramec dam was among the targets of a 1977 “hit list” he released as president. The fate of the reservoir was put to a rare public referendum among voters in St. Louis and a dozen counties along the Meramec in 1978. The Corps already had bought thousands of acres and started building a visitor center when the vote showed that nearly two-thirds opposed the project. Congress formally deauthorized the reservoir in 1981. The following year, the Meramec unleashed one of its worst floods on record, rising so suddenly that first responders rescued residents in the dark as the river inundated Valley Park. The flooding killed six people and caused more than $100 million in damage. 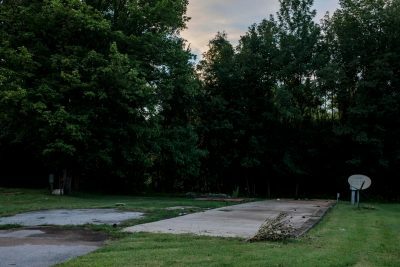 In the small community of Times Beach, residents cleared out, abandoning that land to the river. In a report released in 1987, the Corps outlined plans to protect more than a dozen communities with levees and other solutions — and then discarded all but a few of those plans because their costs outweighed the projected benefits. The 6-mile riverfront of Fenton was among the places the Corps decided a levee would be too expensive. 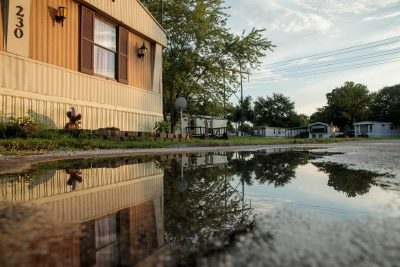 In Arnold, the Corps considered buying out low-lying houses and trailer homes — including in the Starling Community Trailer Court, where Sarah Quinn’s grandmother was flooded out in 2015. This proposal also failed the test. The city of 19,000 was the largest in the area and vulnerable on two fronts, from floods rushing down the Meramec and from high water backing up from the Mississippi. The Corps calculated that it could buy out the riskiest homes for $5 million. But the properties weren’t worth enough to justify that, the agency decided. Valley Park had hundreds of homes and valuable public services — its police station, fire station, city hall and schools — in the lowest part of the floodplain. The Corps figured it would be worth protecting them all with an $11.8 million levee. 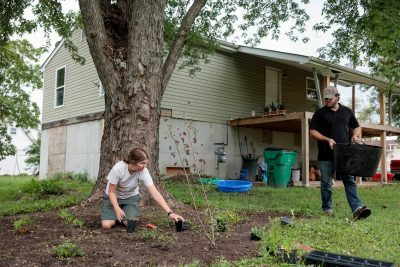 The Corps recommended two solutions in addition to the levee: a buyout for a low-lying mobile home park in Eureka and an improved flood warning system across the region. But these were stymied by a new law, backed by environmentalists and the Reagan administration, which added another condition: The Corps had to find a local funding partner for these projects. Only city leaders in Valley Park were willing to pay their share, $3.7 million, to clinch the deal to put a levee between the Meramec and their city of 3,200 people. Over the years, the $11.8 million price tag, which the Corps had so carefully figured into its cost-benefit calculations, began to climb. 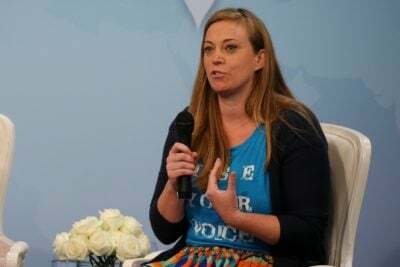 A Corps spokeswoman cited multiple reasons, including cleanup of contaminated soil found during construction and lawsuits from landowners in the levee’s path who didn’t want to sell their property to make room. In 2000, Congress passed a bill that funded the levee at $35 million. In 2003, federal lawmakers upped the funding to $50 million. Valley Park was on the hook for a quarter of the cost as it grew. Still, its support did not waver. The city issued a series of bonds and diverted tax revenue to pay for the levee, at one point prompting a lawsuit from its school district over lost tax money. The final price for the city was just over $13 million — more than the entire project was supposed to cost. The Corps’ original reservoir solution for the Meramec would have protected more than a dozen communities. The estimated cost of that dam in 1929 was $6.6 million, an amount equivalent to roughly $70 million by the time Valley Park got its $50 million levee. Instead, the Corps had its hands tied so tightly over the decades that all it could build was a single levee, benefiting one small city. 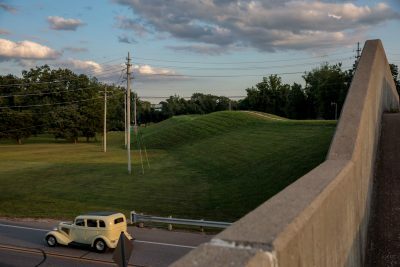 From Valley Park, the levee’s slope resembles the inside of a grassy bowl, around 20 feet tall. Water caught behind the levee is guided out of the city by a system of drain pipes. Steel gates let traffic in and out through several road and railroad crossings. When the Meramec begins to rise, the gates close and seal off Valley Park from the wall of water. When the levee was designed in 1993, the Corps’ hydraulic modeling software demonstrated it would increase flooding upstream by less than 5 inches during a 100-year flood (a flood that has a 1 percent chance of occurring each year) and only within a few miles of Valley Park — not far enough to reach Eureka or Pacific. It had put the average yearly cost of flooding created by the levee at $7,200 in 1987, or $16,000 in 2018 dollars. In reality, the Corps could not say with certainty that the levee wouldn’t contribute to additional flooding in the future, because its calculations left out how key variables could change over time. The first of those factors is development. The Corps built the levee tall enough to protect against a 100-year flood, a height that offered an additional perk: Valley Park residents no longer had to buy costly federal flood insurance. With a levee to protect the city, the Corps calculated that rising land values in Valley Park and administrative savings in the flood insurance program would create nearly $100,000 in annual benefits, about $225,000 today. That number helped bolster the case for the levee in the Corps’ cost-benefit analysis. 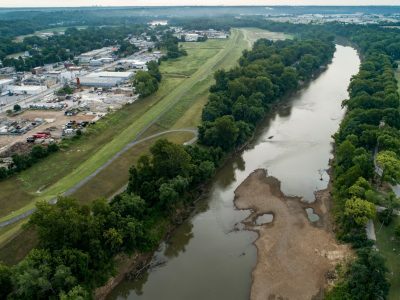 But even though the Corps anticipated that the levee would prompt growth in the area worth $15 million per year, it didn’t expect the flood damage to grow, too. Valley Park’s population has more than doubled since the 1980s, to 6,900. And between 1980 and 2010, the combined population of Arnold, Fenton, Valley Park, Eureka and Pacific increased nearly 50 percent. 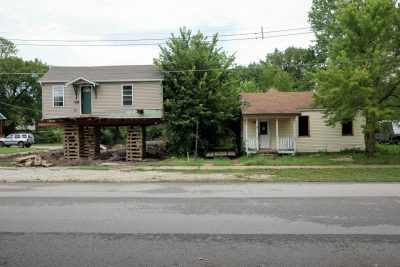 Since 1993, growth in the floodplain includes extensions of several Fenton subdivisions and hundreds of new residential lots scattered across unincorporated St. Louis County between Pacific and Arnold, an analysis of county tax parcel data and Federal Emergency Management Agency flood insurance maps shows. By taking up space that would otherwise hold water during a flood, new buildings inside the floodplain drive the river higher. For people living nearby, those extra inches of water can mean the difference between soggy front yards and replacing the furniture, carpet and walls in the first floors of their homes. “You put a stone into a bucket of water, it’s going to raise the level of water,” said Devin Brundick, the owner of that little green house in Pacific. Now, every time he drives past new construction sites in the floodplain, he envisions the river near his home rising another fraction of an inch. Development outside the floodplain, on higher ground, worsens flooding in a different way. As the suburbs sprawl across open land, soil that might have absorbed rainfall is paved over, sending water rushing faster toward the river and creating more frequent floods. Some of this is driven by Valley Park subdivisions built after 1993, near two small creeks that funnel runoff straight into the Meramec. Phillip Eydmann, a retired engineer with the Corps who helped design the Valley Park levee, said conditions along the river have changed since 1993. The second variable is climate change. It was a fairly new concept for federal policymakers in the early 1990s, but by the time the levee was complete, scientists were highly confident that human-driven climate change would affect rainfall all over the country. There’s now a consensus that rainstorms across the Midwest are intensifying, dumping more water into the Upper Mississippi basin. Researchers and regulators generally calculate future flood patterns based on a river’s past behavior. But climate change makes everything more unpredictable. The Corps now considers climate change in some of its flood planning, but an Obama-era executive order that might have strengthened its approach was rescinded last year by President Donald Trump. The Corps never updated its 1993 calculations or checked them for accuracy — not when the levee was finished in 2005, nor when the levee held back its first big flood in 2008 or after the larger, more recent floods. The Corps used widely available modeling software of the early 1990s. The technology’s ability to accurately model how rivers behave has significantly improved since then. As a result, levees that are meant to last for decades, even a century, are built based on maps and modeling technology from another era. The Valley Park levee met its first test when floods tore through the Midwest in spring 2008. One bar owner told reporters that she was so confident in the new levee that she hadn’t bothered to pick up her computer off the floor. The record floods in 2015 and 2017 only fed the suspicions in neighboring towns. Was the levee to blame? The Corps defended its work with a fact sheet citing its calculations from 1993, but no new data. “The levee does not increase flood heights anywhere downstream of Valley Park,” the agency declared. In fact, the Corps isn’t sure of the levee’s effect. John Boeckmann, the Corps engineer, said development in the area makes it hard to assess. Checking the agency’s estimates against the levee’s actual impact would require additional funding from Congress, likely hundreds of thousands of dollars for a detailed model. And there’s a question of fairness, Boeckmann said: If one community got a special study, every other flooded town near a levee would want one, too. The St. Louis District alone has more than 70 levees, so the costs soon would add up to millions of dollars. Jonathan Remo, a professor at Southern Illinois University who’s spent his career studying Midwestern floods, said the Corps has no incentive to verify whether its original flooding predictions still hold. Scientifically speaking, it’s a good idea to check those numbers, given how modeling software and local conditions have changed since 1993, he said. Such a study could even help the Corps make better predictions. But there are built-in disincentives for the Corps to prove its own work was wrong, Remo said. If the Corps found that the water levels have risen more than it estimated, it wouldn’t just make the agency look bad, he said. It could expose the agency to litigation. Anne Jefferson, a geology professor at Kent State University, said it all comes down to funding priorities. Researchers say this is a common problem in science and engineering. Whether it’s verifying levee models or doing long-term monitoring in ecological restoration, funding for initial projects dwarfs what’s available for follow-up research. The federal government has the tools to get a much better picture of how levees worsen flooding, for a fraction of the cost of a comprehensive model. The U.S. Geological Survey, a scientific agency that monitors natural hazards, operates stream gauges that measure the flow of water in rivers. In 2011, two scientists used stream gauges next to or directly upstream of levees to examine water heights during floods, as well as flow rates — the amount of water rushing past the gauge each second. The higher the flow rate, the larger the flood. The scientists studied 13 levees in the Midwest, compiling these two measurements before and after the levees were built. They wanted to see whether floods with similar flow rates produced different flood heights before and after levee construction. They found that in all 13 cases, for floods of the same flow rate, water heights post-levee were higher than pre-levee — in one instance by more than 5 feet. Co-author Nicholas Pinter, an earth science professor at the University of California, Davis, said the study used real-world data to show what actually happened during floods, instead of relying on a model of what “should” happen. Scientists say stream gauges near every levee could serve as a warning system, indicating which levees worsen flooding and delivering a reality check on the Corps’ design predictions. But the Geological Survey and other agencies have struggled to maintain their network of gauges. Due to tight budgets, the Geological Survey said only 73 percent of the gauges it considers essential for monitoring rivers are operational today. And because they are designed to track flooding, not the effects of levees, many gauges are far from levees, and some don’t track flow rates at all, making them useless for these calculations. 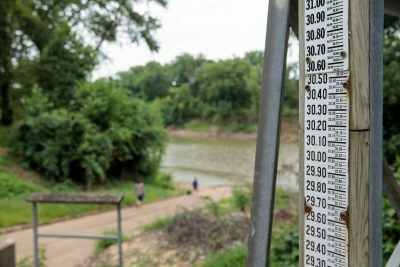 Bob Criss, an earth science professor at Washington University in St. Louis, tried to do a stream gauge analysis for Valley Park, but the limitations of the gauges led him astray. He co-wrote a paper on the 2015 flood and called it a “man-made disaster.” It blamed the levee and other upstream development for raising water levels at Eureka a foot higher than they should have been. What Criss didn’t realize — and what ProPublica and Reveal have only recently discovered — is that the underlying data was flawed because the Geological Survey had moved the stream gauge several months before the flood, without flagging the change in the data. Correcting that data made the extra height disappear. Whatever the impact from the Valley Park levee and nearby development, it wasn’t great enough to reach the Eureka gauge. Criss maintains that his analysis is correct. “Dr. Criss stands by the accuracy of every statement he made in the abstract, introduction, discussion, and conclusion sections of his original study,” said Talia Ogliore of Washington University’s Office of Public Affairs, summarizing Criss’ position. It’s also impossible to use gauges to measure flooding from the Valley Park levee, because the gauge next to the levee measures only water heights. The Geological Survey acknowledged this shortcoming to reporters after the 2008 flood. In 2015, the river at Valley Park rose higher than it had in 1982 — but without knowing the flow rate, it’s impossible to tell whether the extra height was the natural result of a bigger flood or whether the levee and new development were partially responsible for pushing the water higher. There’s also been some debate about whether the levee was built too high, which would contribute to additional flooding. Six months after the Criss paper, a separate report found that the levee must have been higher than its authorized height, because at the 100-year-flood level, it would have been submerged in 2015, which would have lowered the water level in nearby towns. The report was funded by the Great Rivers Habitat Alliance, which had hired a local engineering firm to measure the height of the levee at several locations. Remo, the Southern Illinois professor, said it’s hard to prove the levee was built too high because the Corps gives itself a lot of leeway on this front. When the agency designed the levee, it modeled the size of the 100-year flood at Valley Park and found the baseline levee height needed to hold back that flood. Then the Corps added an extra 3 feet to the levee design for safety and up to 4 feet more to account for how the levee might settle over time. That meant the levee was built up to 7 feet higher than the elevation of the 100-year flood. For Valley Park, the added height makes it virtually certain that the city will be protected from a major flood, even if its flow rate is larger than what the Corps calculated in 1993. On the flip side, every extra inch of the levee above the baseline height increases the possibility of passing more damage on to Valley Park’s neighbors. Chad Berginnis, executive director of the Association of State Floodplain Managers, said Valley Park should shoulder more of the responsibility for making sure its levee doesn’t harm its neighbors. Most federal levees are maintained by local levee districts, and it’s up to them to ensure the structure stays up to date with changing flood patterns and regulations. But few local governments have the expertise or funding to check the Corps’ calculations. And just like the Army Corps, they have little incentive to do anything that might indicate their levees are piling extra harm onto surrounding communities. Tim Engelmeyer, the Valley Park city attorney, said it’s unrealistic to expect a “little town of 7,000” to handle a complex modeling update. U.S. Geological Survey scientists also have proposed a sophisticated computer model that would do what the Corps says it cannot: conclusively demonstrate the levee’s impact on the region. The model, said Geological Survey hydrologist Paul Rydlund Jr., would consider the Meramec Valley as it looked in the 1930s, then slowly add in the development over time: bridges, neighborhoods, the levee. Rydlund said he hopes such a study could help people on the river understand its changing behavior. So far, the Geological Survey has raised $50,000 of the $365,000 it needs to build the model. Lately, the agency has been asking local officials to help. The 2015 and 2017 floods were a clear reminder that, after almost a century of work by the Army Corps, most communities on the Meramec remain exposed to flooding. With $350,000 from Congress, the Corps has commenced another study of the same volatile river. The agency partnered with local governments, including Pacific, Arnold and Fenton; federal and state agencies; and other organizations to produce a report it calls a “blueprint” for reducing flood risk. 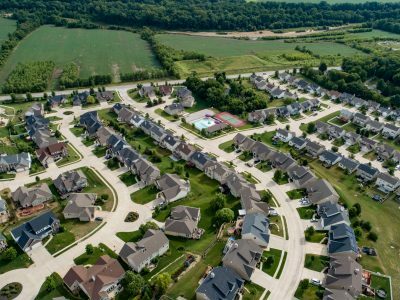 Hal Graef, a project manager for the Corps’ St. Louis District, said it will focus on nonstructural solutions such as buyouts and raising home foundations. Part of the effort involved public meetings and surveys asking for feedback. 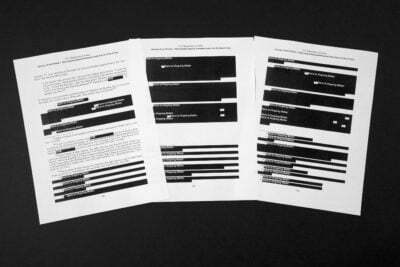 Officials had received 38 responses as of late June. Some urged limits on floodplain development or blamed the levee for aggravating flooding. Others wanted more levees along the Meramec. The final report is due in November 2019. After that, it will be up to the communities to follow the recommendations. Graef said the report will list potential funding sources. The Corps will not have authority to force anyone to adopt the ideas, nor will there necessarily be guaranteed funding for them. The agency already is stretched thin. Only about 2 percent of the Corps’ authorized construction projects get funded each year. And although the Corps is building far fewer levees than it did in the mid-1900s, the agency is on the hook for an aging network that costs billions to maintain and keeps getting hit by natural disasters. There is no indication it will get more support under the Trump administration. Small-government advocates long have called for removing civil works from the Corps, and in June, the administration released a plan that would do just that: Strip the Corps of its flood control responsibilities and reassign the job to the Department of Transportation and Department of the Interior. A shift like that would add a new layer of uncertainty to the Corps’ future. Flood victims around Valley Park don’t have the luxury of waiting for a government fix. Last year, Walt Wolfner tore down the half-century-old clubhouse that took on 11 feet of water in the 2015 flood. In its footprint, he built a new one, accessible by stairs and an elevator, 14 feet above the ground. Sarah Quinn moved away from Arnold after the 2017 flood, but she often visits her grandmother at the Starling Community Trailer Court. 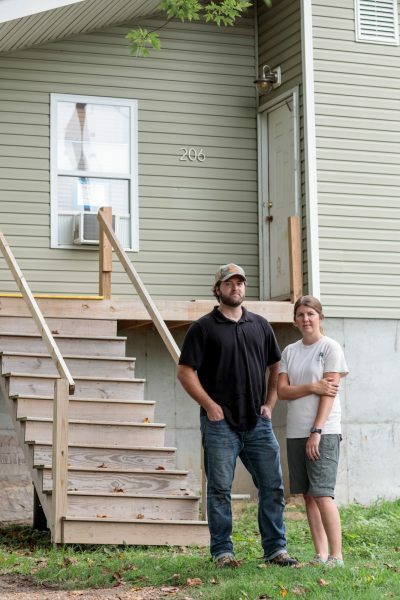 Four months after the 2015 flood, Devin Brundick and Felicia Ammann set about elevating their home in Pacific. They had an 8-foot concrete foundation poured, then had a crane pick up their little green house and set it on top. It was another year before they could move back in. Brundick is a carpenter, and when he has time at home, he works on finishing repairs. The way this area has flooded since they bought the house, Brundick and Ammann doubt they’ll make money selling the home the way they’d planned — even from its new perch. Their corner of town is full of signs of how other people are making their own plans to weather the future: old homes parked high up on fresh concrete foundations and others sitting low to the ground, newly abandoned. Lisa Song can be reached at [email protected], Patrick Michels can be reached at [email protected], and Al Shaw can be reached at [email protected]. Follow them on Twitter: @lisalsong,@PatrickMichels and @A_L. Update, Oct. 12, 2018: This story was updated to include a comment from Washington University about a paper by Bob Criss, an earth science professor.